HomeWorx Group Real Estate Knowledge You Need, Advice You Can Trust! Without working day in and day out in the real estate market it is quite unlikely that a For Sale By Owner home seller will have complete understanding about pricing. Often a seller is forced to reduce the price and may have to accept less money for the home than the seller would have received had he/she started at the right price. When HomeWorx go to work with you they ensure you will receive the most current market stats along with a thorough market analysis report to GUARANTEE your home is in a solid market position. 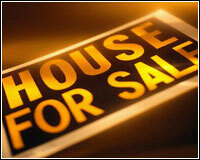 HomeWorx will sell your home FAST and for TOP DOLLAR. A property depreciates the longer it is on the market. Many owners fail to take advantage of this excitement by limiting the market to their immediate contacts and advertising. HomeWorx ensure your home is advertised 24 hours a day until it is sold. Our Home Selling System is constantly being tested and improved to ensure your home is exposed to the largest pool of QUALIFIED buyers. Did you know that when you choose to list your home with HomeWorx , you are getting the most professional, most reliable real estate team in Cochrane? We provide state-of-the-art professional service to home sellers, just like yourself. In fact, choosing us will likely save you money. That's because your home will be priced correctly, you receive 24-hour advertising until it is sold, and you'll be placing your home before the most qualified potential buyers. Why settle for anything less than the best? If you have considered selling your home by owner, we would love to sit down with you and discuss your decision, WITH NO OBLIGATION! Let HomeWorx show you how you can save money! SIGN ON NOW FOR INSTANT ACCESS TO HOMES LISTED IN Cochrane! Knowledge You Need, Advice You Can Trust!